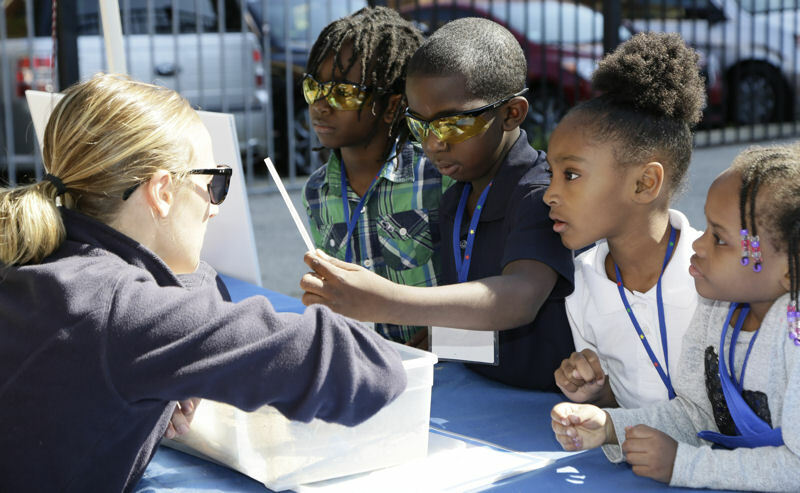 Students from Manierre Elementary School (Chicago) learned about water during the 5th-annual Water Palooza. Photo courtesy of Oscar & Associates. Water Environment Federation (WEF; Alexandria, Va.) Student and Young Professionals Committee (SYPC) volunteers dedicated time to help educate students about water during the 5th-annual Water Palooza on Sept. 29. 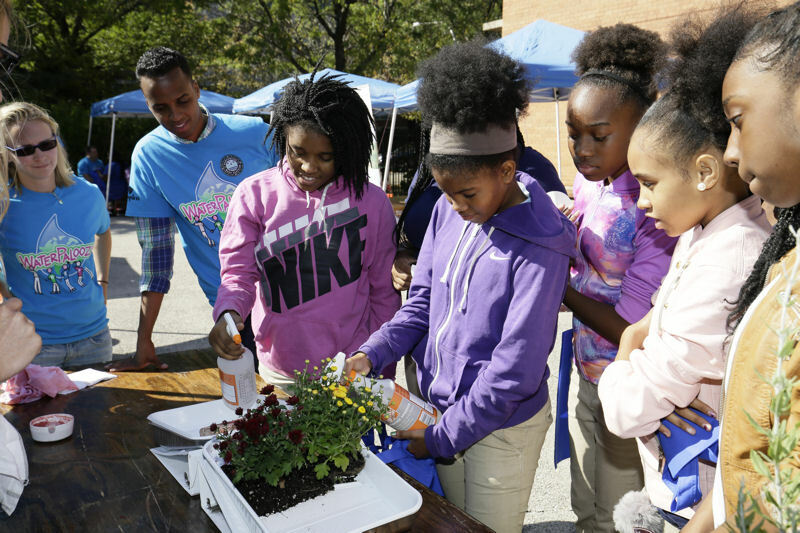 During the event, held as part of the WEF Community Service Project, students at Manierre Elementary School (Chicago) participated in a series of hands-on and demonstrative water-themed activities. 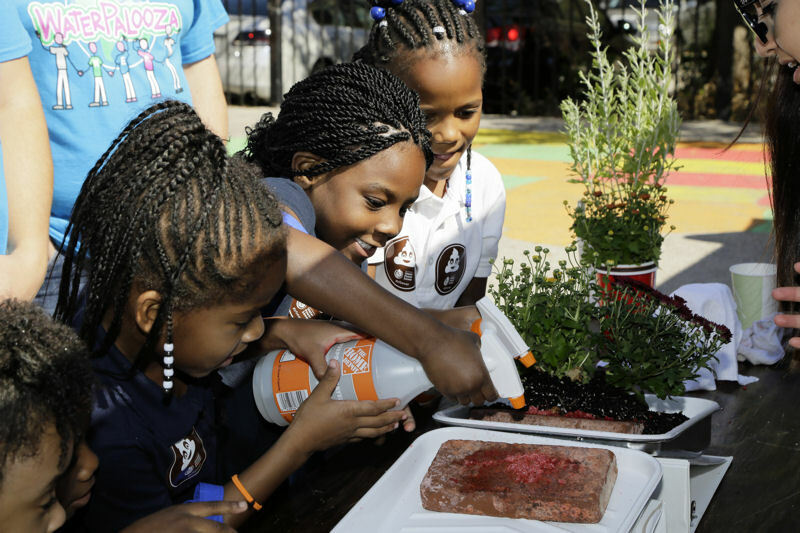 A series of hands-on, educational activities helped educate the students about the local water environment, the value of water, water initiatives in the community, and steps to take to protect local water resources. Photo courtesy of Oscar & Associates. Nearly 400 kindergarten-through-eighth-grade students learned about the local water environment, the value of water, water initiatives in their community, and actions they can take to help protect local water resources. A total of 15 organizations representing local nonprofits as well as public and private companies, consultants, and manufacturers from across the country attended. The organizations hosted booths with activities for the students with the goal of cultivating our next generation of water stewards. Nearly 400 kindergarten-through-eighth-grade students took part in the Water Palooza. Photo courtesy of Oscar & Associates. The day kicked off with a special visit from Walter Burnett, Jr., alderman for Chicago’s 27th Ward. He talked to the students about the importance of preserving our water resources and the crucial work of city water professionals. Kari Steele, commissioner on the board of the Metropolitan Water Reclamation District of Greater Chicago, emphasized the importance of educating students about water during the event. Photo courtesy of Oscar & Associates. 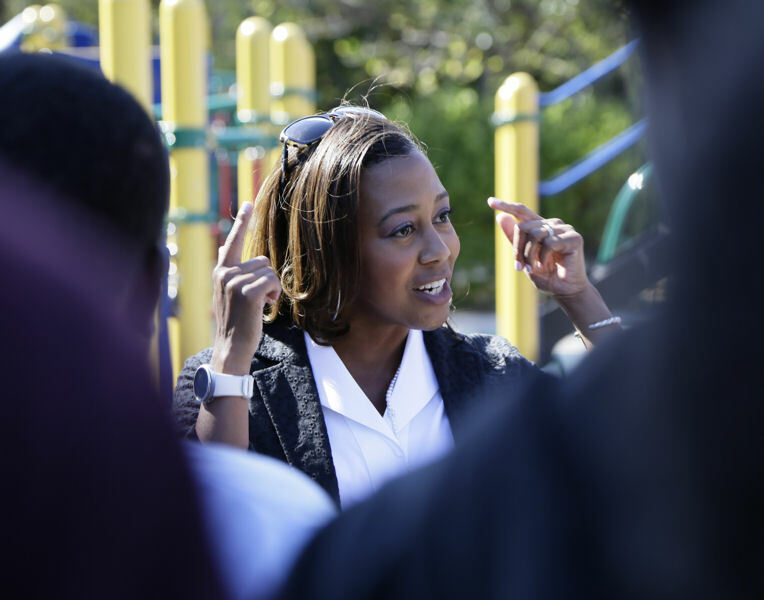 Kari Steele, commissioner on the board of the Metropolitan Water Reclamation District of Greater Chicago (MWRD), visited Water Palooza. During her remarks at the event’s closing, she further emphasized the importance of educating young students about water. Students learned about such topics as the water cycle, wastewater treatment systems, stormwater, and water pollution. Photo courtesy of Oscar & Associates. In groups, students had 75 minutes to visit 15 booths with their teachers. 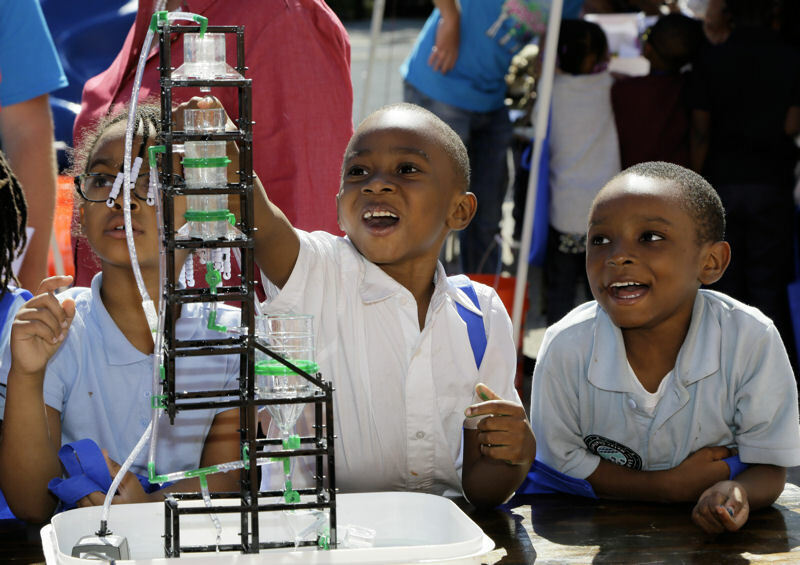 Subjects included the water cycle, what not to flush, ways New Orleans is protected from storm surge, how pollution affects waterbodies, where stormwater and wastewater travel, how soil and plants filter stormwater, and buoyancy. 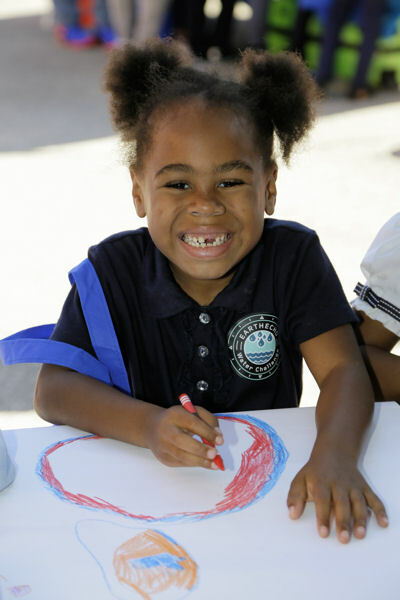 The students also answered the question, “what does water mean to you?” by writing or drawing on posters. These posters were given to the school to remind students of the lessons they learned during the event. Students were given 75 minutes to visit 15 booths with their teachers. Photo courtesy of Oscar & Associates. Photo courtesy of Oscar & Associates. Organizations representing nonprofits, companies, consultants, and manufacturers hosted booths at the event. Photo courtesy of Oscar & Associates. Donations enable SYPC to host Water Palooza at no cost to the school or participating organizations, eliminating any barriers to engaging local students about water.